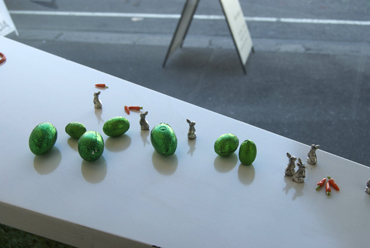 Looks like the rabbits have been multiplying in the window! Small Space will be closed over the Easter weekend. We wish you all a safe and Happy Easter break. Come in and see us when we re open.